The only vegetable that makes you cry, happens to be an important source of quercetin, an antioxidant, that boosts the immune system. Antioxidants scavage unhealthy particles in the blood stream, known as free radicals that damage cells membranes, and tamper with DNA. 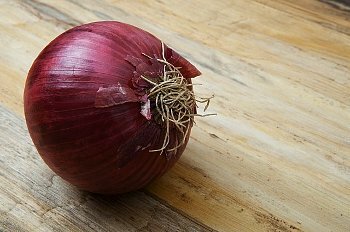 Consuming onions on a regular basis has beneficial effects against adverse health conditions, such as cancer, asthma, allergies, heart disease, and rheumatoid arthritis. Onions are high in vitamin C, provide a good source of dietary fiber, and folic acid. They contain calcium and iron, are low in sodium, and have no fat. The quercetin and phytochemicals in onions inhibit the growth of breast, ovarian, bladder, colon, gastric, and lung cancer. Quercetin is a potent anti-inflammatory helpful for managing rheumatoid arthritis. 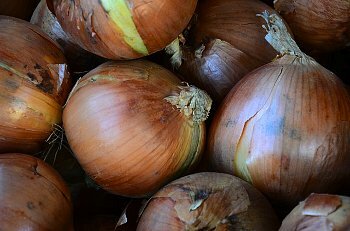 Onions have antiviral and antibiotic properties. The quercetin found in onions raises good cholesterol (HDL). Yellow onions are white on the inside, and have a strong, pungent flavor. The have a brown papery outer skin. 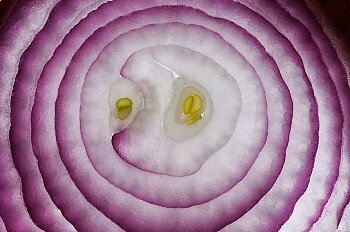 Red onions are white on the inside., and have a mild to sweet flavor. They have a dark red papery outer skin. White onions are white on the inside, and have a milk flavor. They have a white papery skin. Examples of white onions are Walla Walla, and Vidalia. Posted on June 5, 2013, in Food and tagged antioxidants, cancer, Onion, Quercetin, Rheumatoid arthritis. Bookmark the permalink. Leave a comment.